Ethics aside, does the CRISPR baby experiment make scientific sense? Before the news broke Sunday that Chinese researcher He Jiankui had used the genome-editing technology CRISPR to create genetically altered twins, he was little known in scientific circles. But the controversial experiment to make humans potentially resistant to HIV also thrust another player into the limelight: CCR5, an immune system molecule that He attempted to cripple. Here’s the scientific logic behind that choice—and the concerns. CCR5 studs the surface of white blood cells, where it acts as a receptor for chemokines. These chemical messengers boss around different populations of immune cells. HIV, which selectively targets white blood cells, uses CCR5 to latch onto them and breach their membranes. Researchers discovered more than 20 years ago that a mutant version of the CCR5 gene, which is missing 32 DNA base pairs, prevents HIV from infecting these cells and thus confers resistance to infection. It’s this mutant—known as CCR5-Δ32—that interests He. What did He do with CRISPR? He’s team used in vitro fertilization to make embryos and then applied CRISPR to those embryosin an attempt to turn the normal CCR5 gene into a mutant that resembles the Δ32 version. As an informed consent form for volunteers who participated in this trial explains, He viewed this as a genetic form of vaccination. “The main objective of this project is to produce infants who have the ability to immunize against HIV-1 virus.” the form states. Who naturally has the mutation? Nearly 10% of people in Europe and the United States have inherited CCR5-Δ32 genes from at least one parent. Most of these people also have one normal variant, however, and remain just as susceptible to the AIDS virus as everyone else. But the 1% who inherit the mutation from both parents—so-called homozygotes—are highly resistant: Studies show that if they’re exposed to HIV, they’re 100 times less likely to become infected. (There are rare cases where they have become infected by HIV variants that favor a different chemokine receptor.) Timothy Ray Brown, an HIV-infected man who received a bone marrow transplant in 2007 from a donor who was homozygous for CCR5-Δ32, became the only person ever cured of an HIV infection. The case added further evidence that the crippled receptors provide a strong defense against the virus. What are the risks of using CRISPR to mutate CCR5 in human embryos? How well did CRISPR work in He’s experiment? There is no published paper to examine, but He says one of the implanted embryos was homozygous for the disrupted CCR5. The other only had one of the two genes altered. Only the homozygous baby would potentially become resistant to HIV. He presented evidence today that neither baby had off-target mutations, but researchers still remain skeptical that his analysis was sufficiently thorough. Is it possible that CRISPR led to mutations that didn’t cripple CCR5? Yes. Mutated genes sometimes still produce functional proteins. As of yet, He has not shown any data that the mutated CCR5 in the babies are crippled, but he said he plans to take blood samples from the infants to try and infect their cells with HIV. Do people who are homozygous for CCR5-Δ32 suffer any related health problems? Potentially. For a decade, it seemed as though the mutation caused no harm. But researchers showed in 2005 that West Nile virus is highly fatal in mice engineered to be homozygous for the mutation. Epidemiological studies of West Nile disease subsequently found that humans homozygous for the CCR5 mutation suffer more serious disease and higher rates of death from that virus. It’s now clear that the unmutated gene regulates the trafficking of white blood cells to brains infected with the West Nile virus. It thus likely plays a role in fighting other infections by similar mechanisms. 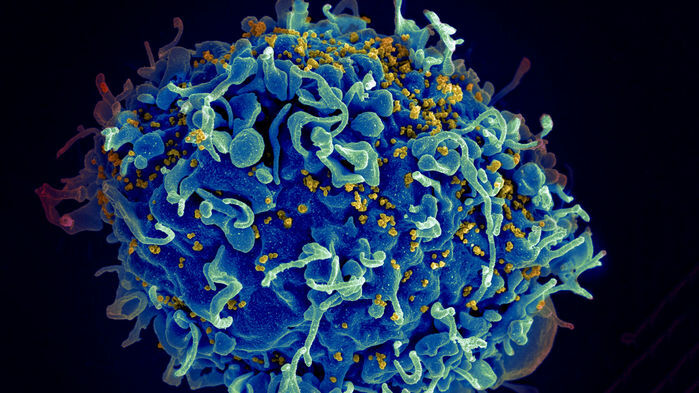 How could crippling CCR5 with CRISPR help slow the HIV/AIDS epidemic? He contends that his experiment meets an “unmet medical need,” a key ethical principle for conducting CRISPR experiments on human embryos that might lead to heritable changes. He bases this on the fact that new infection rates of HIV remain high in many countries; babies who are exposed to but uninfected by the virus (from their mothers in utero, during birth, or through breastfeeding) may still have health problems; and many infected people face discrimination. But this rationale has left many HIV/AIDS researchers scratching their heads. Even if CRISPR can safely cripple CCR5 in embryos, it would require a massive IVF campaign followed by the birth of an unfathomably large number of genetically altered babies to have an impact on the epidemic. Are there other potential benefits to crippling CCR5? The Medical Ethics Approval Application Form posted on He’s website asserts that CCR5-Δ32mutations might make people “significantly resistant” to smallpox and cholera. But the scientific support for this is scant.